Event websites, emails, promo codes, PR, SEO, Google Ads, social media, SEO, attendee advocates—are you checking all of the boxes in your event promotion plan to sell out your event? Event promotion can seem overwhelming if you’re trying to tackle it all at once. With all of the different ways there are to market your event, it’s hard to even know where to even start. However, once you break down your strategy into digestible pieces, it becomes a lot easier to conceive and achieve. The most effective way to promote your event is through coordinated campaigns across different marketing channels. Depending on your audience, certain channels—like LinkedIn, email or content marketing—may work best. The idea is that your audience will become familiar with your event brand through touch points after multiple interactions and, eventually, convert. This approach is called multitouch marketing. In this guide, we'll discuss different different channels that can be leveraged on their own and in concert to effectively promote an event. Before trying to think of the next great promotional idea, make sure you’re working with what you got. As the saying goes, if it ain’t broke, don’t fix it. Chances are that your organization already utilizes marketing channels for other initiatives so using those existing channels to promote the event should be fairly simple. Below are some common channels that you can leverage for your event. Assuming that your company has an ongoing blog, leverage this channel to write posts that speak about your event. The content need not be overtly promotional in nature but can include a relevant call-to-action at the bottom. Perhaps you can do an interview series of the speakers you’ll have at the event in order to offer more context to your readers and potential attendees. Remember that video is also a great content marketing strategy. Shoot a “behind the scenes” series of the event to show readers the amount of meticulous planning that goes into the event and post the series on your blog. Using video content to promote your event will create a more engaging experience for readers to learn about the event. The overall mindset here is to create content that will be of value to your readers while also bringing awareness towards your event. When done right, this can be an effective way to shift your blog audience from readers to attendees. For more on content marketing best practices, click below to learn how to crack the content code. Given all of the emails your team sends every single day, advertising the event through an email signature is a tactic that is low effort and potentially high reward. In your signature, place a link to the registration page as well as a small image to promote the event. As you can see in the example below, the team at Social Media Examiner used their email signatures to promote their annual conference, Social Media Marketing World. Using an email signature to marketing events can prove to be a useful channel as long as the campaign is started well in advance. If your company is already sending out a monthly newsletter, why not dedicate a section to your market the event? Aside from creating email campaigns from scratch, event promotion through newsletters is a good way to bring awareness to your event while still delivering monthly content to your subscribers. Make sure to not completely dedicate your newsletter to the event as that might be a turnoff to your regular subscribers. Plus, you’ll want to have separate email campaigns dedicated to promoting your event which we will get to later. While you most likely created an event website before even setting the event promotion game-plan, there’s a difference between making a website and optimizing it for organic search. Doing the latter would mean that you are leveraging your existing event website to promote the event as effectively as possible. A core pillar of strong SEO is to target the right keywords. Summarize your event in a few words or phrases and create a keyword strategy from the group of words. Use tools like Moz’s Keyword Explorer or Keyword.io to see how often those keywords are searched and how competitive it will be to rank for those words. After having chosen your keywords, optimize on-page elements such as the title tag, meta description, and alt text to reflect those keywords. You’ll also want to make sure your website is mobile responsive as this will affect your ranking. For more practical tips on optimizing an event website for search, click on the CTA below to read our SEO Guide for Event Planners. Whether you've already held an event or you've managed to secure some registrations for an upcoming event, your past attendees are an invaluable asset. While it might be strange to think of attendees as a channel, advocacy marketing is becoming an increasingly important piece of marketing campaigns. Encourage your attendees to spread the word by providing them with unique promo codes to share with their network. If they manage to bring in another registration, reward them with a partial refund on their already purchased registration OR offer a discount for the newly purchased referral. You could also offer both incentives for a powerful one-two punch. We'll specifically discuss how to approach this attendee advocate approach later in this guide. 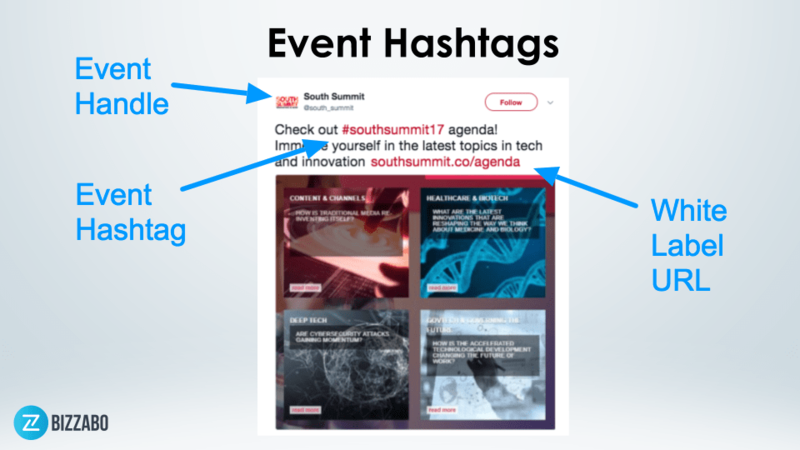 With all of the hard work that you put into previous events, think of ways to repurpose that content to help promote your current event. Being as resourceful as possible with previous video footage, images, and attendees reviews can prove to be a very effective form of pre-event content marketing. Promotional Video - Instead of telling people that your event will be great, why not show them? Creating a promotional video with footage from previous years’ events that will help people visualize themselves at this year’s event. This video should then be used in email, social media, and exist on the event website homepage. Make sure the video is no longer than one minute to ensure that people watch it all the way through. Positive Reviews - Collecting all of the positive feedback from previous events, place them in a visible section on the event website and show others how much people loved your event in the past. Using quotes to reflect the success of your past events are persuasive pieces of collateral for potential attendees who have never heard of your event. Creating social proof through this display of positive reviews is an effective tactic. Video Testimonials - Similar to the promotional video, these testimonials will focus on individual attendees speaking directly into the camera about how much they loved your event last year. If possible, grab footage of previous speakers who also spoke highly of your event. Stitching all of these testimonials together into a piece of promotional content will be very useful for all future events as well. According to the 2019 Event Marketing Benchmarks Report, most believe that email marketing is the single-most effective channel for promoting an event. One way to ensure that your emails remain an effective channel is to devise sound segmentation strategies that will help properly promote your event. Here are some ways you can segment your event email marketing data. To ensure your email content is relevant, organize campaigns based on industry. An email sent to a SaaS marketer should be tailored differently than an email sent to a financial analyst. Segmenting campaigns based on industry will let your attendees know that the event content will be specifically relevant to them, further cementing their excitement for the event. With an advanced event software system, you can filter for individuals who started the registration process but did not complete it. 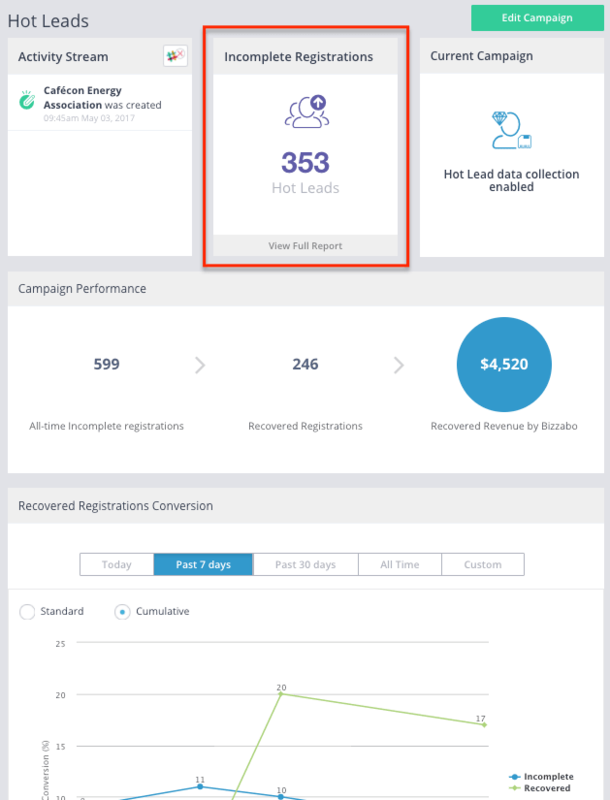 Segmented campaigns based on incomplete registration is crucial as these campaigns will be targeting people who clearly exhibited an intent to purchase but for some reason could not finish. Sending a follow-up email that nudges them to finish might be exactly what they need to officially register. For more on email marketing best practices, check out these email marketing tips for event marketers. With the constantly updating best practices and features of social media platforms, it may be difficult to know exactly where to start when it comes to socially promoting your event. Here are several tips to help you narrow down your social media strategy. Social media is a great place to catch people who have already visited your website but have not yet registered. Serving ads to these visitors is known as retargeting and Facebook is one of the best social media platforms to do this. To target visitors who have already visited an event website, promoters will need to insert a piece of HTML code provided by Facebook that will track the visitor until he or she opens Facebook. Once the visitor is on Facebook, they will see an ad reminding them to register for the event. For in-depth tips on these types of ads, check out this blog post on event retargeting. Another form of paid social media is LinkedIn’s sponsored content. This feature allows you to promote your event to the specific audience of your choice by having those ads appear on their LinkedIn newsfeeds. LinkedIn’s native advertising can be especially effective because their database of millions of professional profiles allows for very specific audience building. With this type of data you’ll be able to market your event to the types of attendees that will find the most value from your event. In case you didn’t know, Snapchat allows businesses to purchase and customize their own filters and have them designated for a specific geolocation. This type of native ad is ideal for events because it encourages attendees to create and share self-produced content. Instead of only celebrating every time someone registers for your event, why not turn those attendees into advocates? Generate referral links for people who have just registered for your event so that they can share it one their own social networks. Create an incentive where the original registrant receives a discount or swag items every time someone new registers with their link. This type of organic referral or advocacy campaign can end up doing a lot of the promotional leg work for you. Clearly event promotion is not an easy task so why not share the load? All great event marketing plans require a helping hand. Here are some ways you can distribute the promotional efforts to ensure that you are bringing in other stakeholders who can help with marketing your event. Teaming Up With Your Sponsors - Given that your sponsors most likely have resources and an audience that you won’t have access to on your own, propose some joint marketing ideas. This could be in the form of your event sponsors sharing your event on their social media platforms, including it in their newsletter, or event creating partnered content that promotes the event. Remember, your sponsors want you to have as successful of an event as possible so don’t hesitate to propose ideas that will help to get you there. Influencer Marketing - All industries have thought-leaders who hold a certain amount of influence. If you know of any influencers whose audiences align with your target attendee group, reach out to these individuals to discuss possible partnership marketing opportunities. Even easier, reach out to the speakers on your panel and make sure they’re promoting the event as well. Brainstorm different ideas to make use of their influence in the industry. Internal Team Buy-in - Remember that there are other people in your company, not part of the event marketing team, that can share some of the responsibility. Remind that a successful event is not just win for your team but for the entire company. With that spirit in mind, encourage your sales team, customer success team, engineering team, and everyone in between to help with event promotion. You can gamify their efforts by creating tracked promo codes for each team and rewarding the team with most registrations with a cash prize, team bonding activity, or other incentive. Get creative to ensure collective buy-in. No need to reinvent the wheel! Take the resources and channels at your disposal and slightly shift their trajectory towards a event promotional focus. Be detailed and deliberate about your targeted audience and create tailored marketing strategies through segmented email campaigns, retargeted ads, etc. Don’t go at it alone. Reach out to sponsors, speakers, and other teams within the company to propose join promotional ideas to ensure that you are taking full advantage of their wide networks. Use these tips and takeaways to create an promotional strategy that is right for your event. With the right resources and knowledge, event promotion becomes less of a daunting task and more of an achievable challenge. Looking for more inspiration? Check out these event promotion ideas.